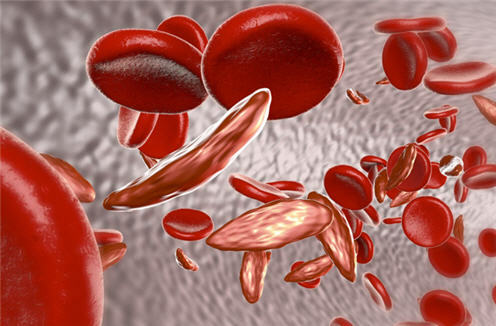 Sickle Cell Disease is the most common of the rare diseases. Despite over 100,000 individuals living with sickle cell disease, there is a lack of providers knowledgeable in the management of sickle cell disease. This barrier to accessing quality evidence-based care leads to poor patient outcomes and poor utilization. This course aims to address the paucity of sickle cell knowledge among healthcare providers and team members who provide care for patients with sickle cell disease by providing information and development activities to promote quality improvement in sickle cell disease care. Sickle cell providers who participate will receive knowledge and tools necessary to deliver effective, evidence-based care by affecting healthcare practices at the level of the individual and the larger health system. This activity is intended for family practitioners, general practitioners, general internists, pediatricians, hematologists, nurses, nurse practitioners, physician assistants, psychologists, social workers as well as multiple specialties, pain medicine and emergency medicine. Please register prior to April 26, 2019. There is no fee to attend this activity. If you register and must cancel, we ask that you notify the CME office at (410) 502-9636 or at cmenet@jhmi.edu. Manage individuals with illness related to sickle cell disease. Distinguish best practices and national guidelines for the care of an individual with sickle cell disease. Appraise opportunities for quality improvement in sickle cell care in heath care organizations. Apply strategies for recruiting sickle cell care providers to telementoring opportunities. Summarize Plan Study Do Act Cycle for quality improvement projects. This activity has been planned and implemented in accordance with the accreditation requirements and policies of the Accreditation Council for Continuing Medical Education (ACCME) through the joint providership of Johns Hopkins University School of Medicine and SiNERGe: NorthEast Regional Sickle Cell Collaborative. The Johns Hopkins University School of Medicine is accredited by the ACCME to provide continuing medical education for physicians. The Johns Hopkins University School of Medicine designates this live activity for a maximum of 6.25 AMA PRA Category 1 Credits™. Physicians should claim only the credit commensurate with the extent of their participation in the activity. Successful completion of this CME activity, which includes participation in the evaluation component, enables the participant to earn up to 6.25 MOC points in the American Board of Internal Medicine’s (ABIM) Maintenance of Certification (MOC) program. Participants will earn MOC points equivalent to the amount of CME credits claimed for the activity. It is the CME activity provider’s responsibility to submit participant completion information to ACCME for the purpose of granting ABIM MOC credit. American Board of Pediatrics (ABP): Completion of this activity and associated assessment enables the participant to earn 6.25 ABP MOC Part 2 points. Continuing Medical Education credit is also available from other applicable medical specialty organizations. PAs may claim a maximum of 6.25 Category 1 credits for completing this activity. NCCPA accepts AMA PRA Category 1 Credit™ from organizations accredited by ACCME or a recognized state medical society. Verbiage for credit statement: The Johns Hopkins University School of Medicine is authorized by the Maryland State Board of Examiners of Psychologists as a provider of continuing education. The Johns Hopkins University School of Medicine maintains responsibility for this program. A certificate for 6.25 CEUs will be awarded upon completion of this (name of activity e.g., seminar, workshop). The Maryland Board of Social Work Examiners certifies that this program meets the criteria for 6.25 credit hours of Category 1 or .6 CEUs of continuing education for social workers and associates licensed in Maryland. The Johns Hopkins University School of Medicine is an approved sponsor of the Maryland Board of Social Work Examiners for continuing education credits for licensed social workers in Maryland.